When love comes into our lives, everything changes completely, our perception of the world becomes more optimistic, we see the nicer side of things and we have no more space in our minds than to think of that person we love. And it is for that reason that it is so complicated and painful to put an end to a relationship. There are many reasons that can lead you to take the decision of putting an end to your engagement, such as a stagnant relationship, that is the time you spend with your partner has become routine and may even feel somewhat forced to continue with her. 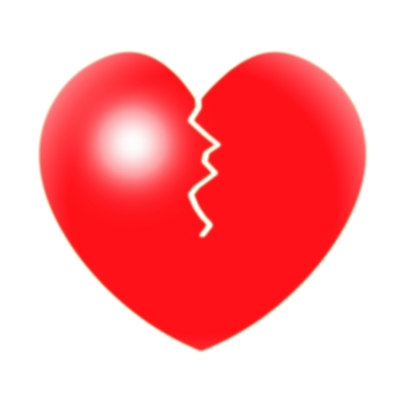 In this section we will tell you how you can break up with your girlfriend in good terms so that she does not suffer too much because of the breakup. To begin, it is very important that you are completely confident about wanting to do this because you can regret the decision later. If the decision of wanting to put an end to your relationship was due to the result of a thorough discussion with your girlfriend, then the best you can do is have a little patience, calm down and talk with her about trying to fix things. If your relationship is a bit stagnant and everything you do is routine, then you can try new things as an activity that you two have never performed or that ride that you had always planned but never actually did, this may give a new air to the relationship and if you both set your minds into it, things can go better from then on. If after having made an analysis, you get to the conclusion that the situation is hopeless and you definitely want to end your relationship, then you must deal with a great responsibility. First of all, you must be willing to accept the role of perpetrator because your girlfriend will feel like the victim and also other people might be inclined to think so. The most important thing is to keep calm and do not exasperate. Connect with her and uses a serious tone of voice, let her know you need to talk seriously with her. Never communicate the decision on a special occasion and make sure she is well and is not experiencing any difficulty as this could be devastating for her. It will be very useful to make a list of all the issues that have led you to take this decision, you can also write a few lines in which you tell her that it is hard for you and that you expect that in the future you can still be good friends . If you check this list you will have in mind what you are going to say and so avoid an awkward silence that can lead you to say something that might hurt her. Once you are talking to her, you should avoid talking about other things, be sincere and express your feelings. Avoid getting tangled in an argument, for this you must not make any claims to her or blame her for anything that happened, you can her him know that what you are about to tell her hurts you to say it but that you think it is important to be honest because otherwise you would be cheating. Avoid prolonging the conversation and even more if your reaction is very strong. We emphasize that it is very important not to fall into provocations and even less fill yourself with rage, make her calm down and if nothing works, terminate the meeting, reminding her that you do not want to make any more damage. After the meeting, it is very common that some things happen. You may feel regret for what you have done and that is why before breaking up with her, we advise you to analyze the situation to spare you from that feeling. You may also have many doubts, but then reviews the list you did and after a short analysis you will come to the same conclusion, that it was best for the both of you. It is also recommended that you avoid any kind of contact with her for a long time, allowing things to calm down and so avoid giving her a mixed message. We acknowledge that the situation you are going through is not easy for you, and neither will be to break up with your girlfriend, but if will be the best for both of you, you will be doing the right thing. Do not forget that you two lived beautiful moments and that a future friendship would be great.